The party season is upon us with football parties, costume parties, and the holidays. If you’re like most people, these parties come with their own worrisome questions such as “What should I wear?”, “Will anyone talk to me?”, or “Who will be at the party?” These concerns and others make party-goers anxious before even leaving their house. Here we address common questions and give tips for your next bash. 1. What are tips for gaining self-confidence at a party? Examine your thought patterns to determine if your thoughts are rational or irrational. 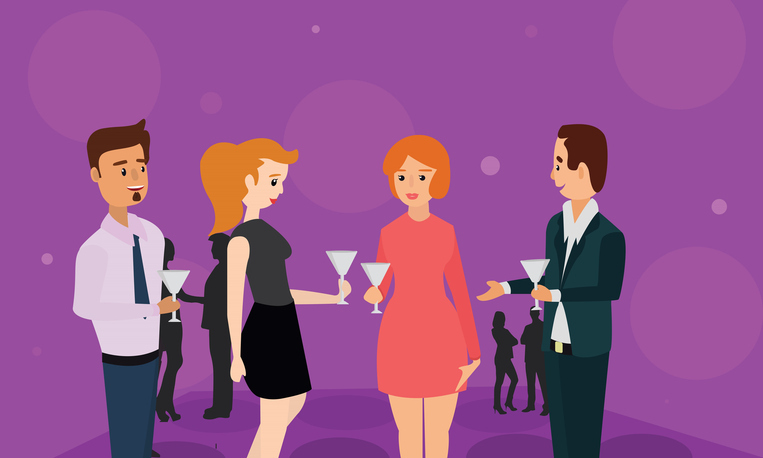 For example, most with social anxiety assume everyone at the party is looking at them or waiting for the person to make a mistake and embarrass themselves. In reality, everyone else at the party is thinking about themselves and not you. Everyone believes they are on center stage, when in reality they are alone on their stage with no one watching. 2. What can I do mentally to prepare for my next event? First, examine your own thoughts. Identify your greatest fear and think through if it is rational or irrational. That is my top recommendation. Outside of identifying irrational thoughts, one can do a number of other techniques to help. Deep breathing is helpful for calming one’s racing heart and mind. Also, take a friend with you to a social setting for extra support. Mindfulness allows you to aware of the moment as opposed to thinking about worst case scenario or some other catastrophe, like tripping at the doorstep or accidentally saying something humiliating. 3. How do I meet new people when I am nervous? It is easier to introduce yourself when you focus on the other person and not yourself. We spend much time and thought into what people think about what we say. Instead, appreciate the other person. Let the other person introduce themselves first and ask questions about their lives before you speak. Show genuine interest. Thinking about someone other than yourself will decrease anxiety. Try not to think too much about it in advance, as you may create more anxiety. You can do a practice introduction with a friend, if you find that helpful. Overall, anxiety is an illness future related, meaning, those with anxiety are constantly thinking about the future. To battle that, be aware of the current moment and think less about the future.